Indivior PLC (LON: INDV) today announced that it has entered into an agreement with Alvogen Pine Brook LLC, enjoining Alvogen from the use, offer to sell, or sale within the United States, or importation into the United States, of its generic buprenorphine and naloxone sublingual film product unless and until the United States Court of Appeals for the Federal Circuit (CAFC) issues a mandate vacating the preliminary injunction against Dr. Reddy’s Laboratories (DRL) previously granted by the U.S. District Court for the District of New Jersey on July 13, 2018. 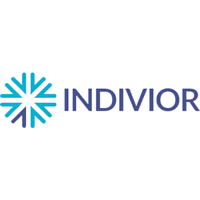 Indivior had been granted a Temporary Restraining Order (TRO) by the U.S. District Court for the District of New Jersey against Alvogen on January 24, 2019, and the court had scheduled a preliminary injunction (PI) hearing for February 7, 2019. As a result of this agreement, the PI hearing will not take place.